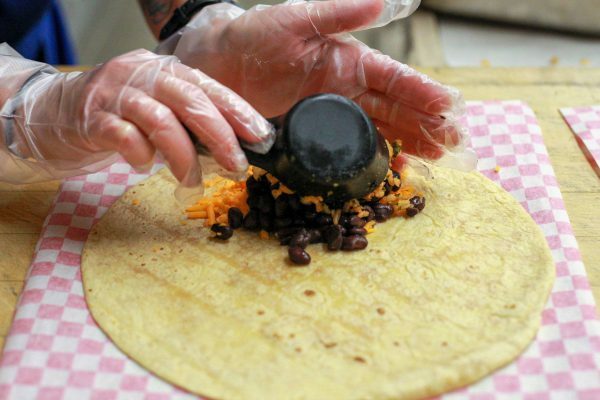 An LBUSD employee prepares a chicken fajita burrito. This sounds like an advertisement for a farm-to-table restaurant, but it is actually Debra Appel describing the food served in Laguna Beach schools. Appel is the supervisor of Nutrition Services for Laguna Beach Unified School District. Appel said Nutrition Services is proud to reflect the healthy, environmentally-friendly community of Laguna. In response to local suggestions, the department has upgraded its milk, eliminated soda, added salad bars, reduced processed foods, improved the beef and produce selection, switched to biodegradable utensils, and eliminated straws. 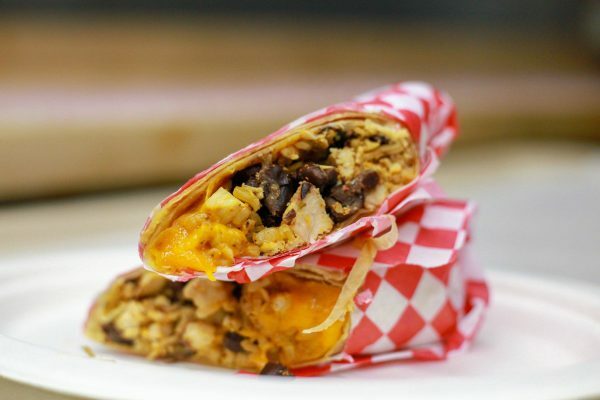 One of the school district’s lunchtime offerings—a chicken fajita burrito. Nevertheless, interest in LBUSD meals is low. Assistant Superintendent of Business Services Jeff Dixon said that only 600 to 650 of the district’s 3,000 students purchase lunch on a typical school day. Since 2012, government regulations have limited the amount of saturated fat and sodium allowed in school meals. Appel said this impacts the taste and appeal of the meals. In 2010, Congress enacted the Healthy, Hunger-Free Kids Act (which took effect in 2012). Designed to end childhood obesity, this legislation required public schools to reduce calories and include more whole grains, fruits, and vegetables in school meals. Despite the act’s good intentions, it led to a drop in student participation and an increase in food waste. 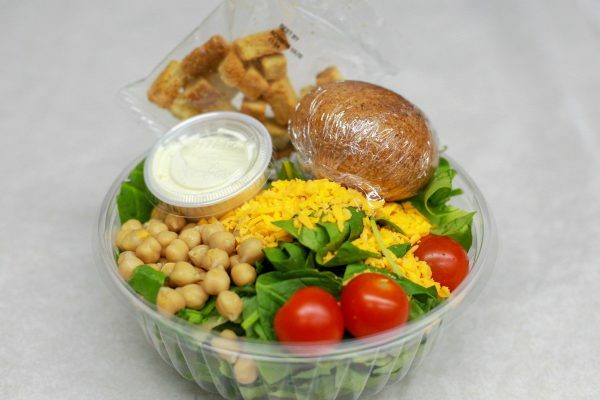 : A vegetarian Greek salad is one of the many healthy options for Laguna students at lunchtime. Appel said her department surveys student reaction by giving them samples during recess. Although many youngsters do not want to use their play time to taste new food, she said the input that students provide is helpful. She hopes to get more buy-in on new recipes by expanding menu testing in the future. The district plans to increase its outreach by expanding its use of social media. According to Dixon, menu items and snacks will soon be making regular appearances on the district’s Instagram, Facebook, and Twitter pages. “Outreach is key in making people more aware of our services,” Dixon commented. To learn more about Nutrition Services and see current LBUSD menus, visit the Departments section of www.lbusd.org. Mobile meal ordering can be done from smartphones by using the Web Menus app.